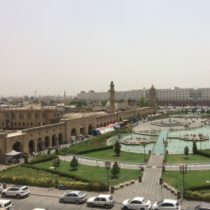 Iraq's capital is Baghdad, and the official languages here are Arabic and Kurdish, but Turkmen and Assyrian are official in areas with large Turkmoman and Assyrian ethnic populations. The majority of Iraqis practice Islam. One interesting fact about Iraq is that it is known for hacha’a, a style of dance similar to belly dancing. Hacha’a is known for its emphasis on neck and hand motion and has fewer hip movements than belly dancing! Major exports of Iraq include crude oil, crude oil materials, food, and live animals. If you do get opportunity to visit, one should visit the Al-Shaheed Monument (Martyr’s Monument) in Baghdad. The monument commemorates thousands of Iraqi soldiers who died in the Iran-Iraq war. Adventurers will also enjoy visiting Babylon, whose ancient ruins are some of the most magnificent in the world! 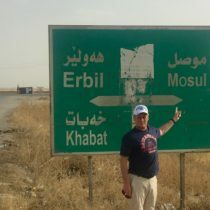 Wow, quite a trip to Iraq. There were several ISIS-inspired bombings in Baghdad just before my arrival, which made me second guess my decision to go there. However, after speaking with Douglas Layton, the President of the Kurdistan Iraq Tours, I was reassured of my safety. 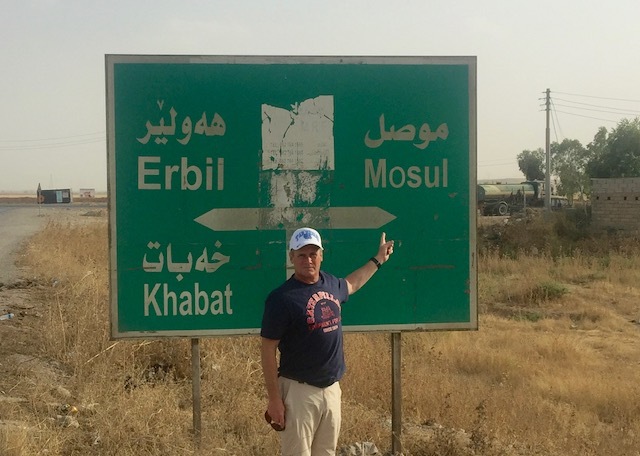 I arrived in Erbil, one of the oldest living cities in the world, and an important crossroads between eastern and western civilizations. 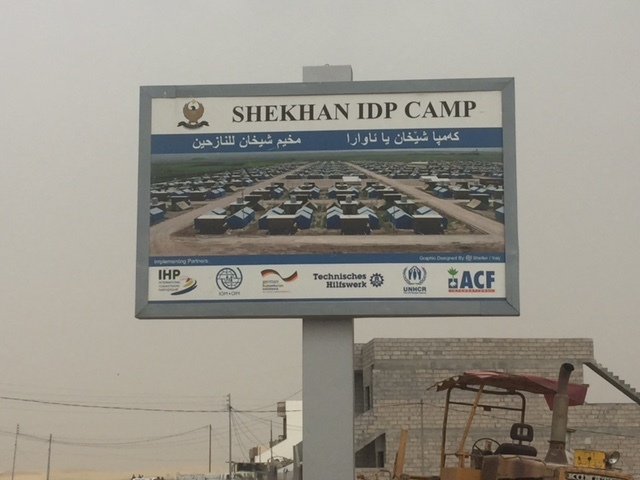 This is Iraq’s fastest growing city, and is home to over 2 million people displaced by the region’s many conflicts. The citadel, which sits in the center of the downtown district, has been occupied for 5,000 years as a fortress and trading center. The government and UNESCO have been restoring the citadel for the past 10 years but little progress has been made in making it an open-air museum and bazaar. 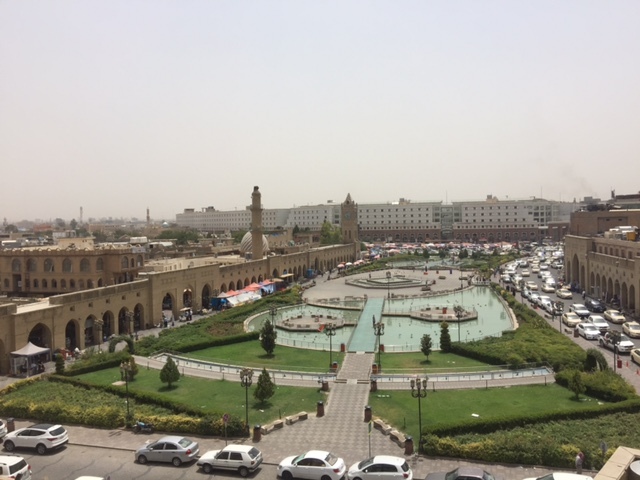 Downtown Erbil is a vibrant and robust cultural center with a bazaar selling everything imaginable. Most of the handigoods are imported from China or India, but there are some wonderful baked delicacies there. There are 1000 of white and beige taxi cars on the city’s streets, the ideal exterior colors to combat temperatures that at times reached 46-49 degrees celsius(120 degrees F). The city and its residents struggle to keep the power on and air conditioners running. The government provides electricity for only 8-12 hours per day, and neighborhoods have large generators which also intermittently provide 4-6 amps of services. Most buildings are made out of cement block and many are only partially finished. The collapse of the world’s economy in 2009 had a devastating impact here and there are numerous high rises throughout Erbil which are ½-¾ complete, and even some that appear fully done but that are completely empty. Villas which once sold for 500k are now lucky to fetch 150k. Making matters worse, there is no access to capital, making this a cash economy, and people are too scared of ISIS and the future to invest in real estate. The powerful Barzani family controls all of Kurdistan. And I don’t just mean politically, I mean everything. 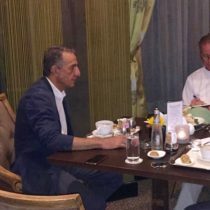 Barzani, his sons and family members control all key industries and government branches from telecoms to travel, advertising to oil. When a road is to be built, a Barzani company gets the contract. Erbil’s sparkling new international airport, yep you guessed it, built by the Barzanis. The advertisements on the road, the finest hotels, restaurants, shopping malls – everything you can think of – are controlled by this powerful family. Lest one believe the Barzanis to be abusing their power, keep in mind that the Kurdistan region is the only safe zone in the region, and hasn’t had a terrorist incident in years, whereas Baghdad, only 60 miles away, reports them daily. Whether the Barzanis are paying ISIS to stay away or the Peshmerga are doing a stellar job to maintain security around Erbil whatever they’re doing is working. 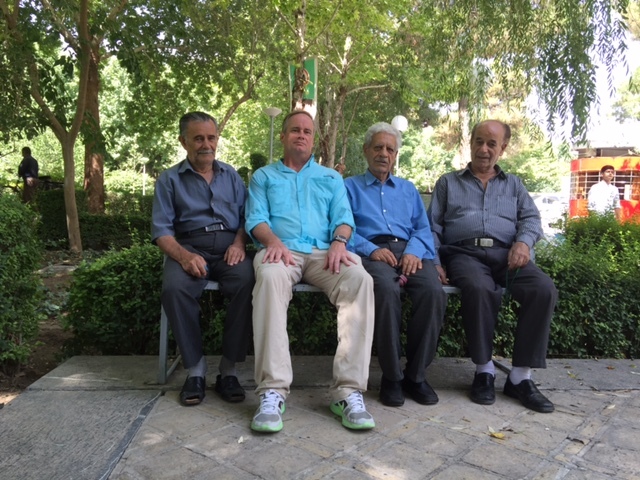 I felt completely safe wandering around Kurdistan with my guide and the Kurds couldn’t have been more hospitable. 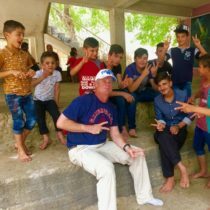 An American in Kurdistan is treated like royalty here. Need something at your hotel? No problem, you’re an American and they’ll go get it for you. Need wifi at the airport? Are you American? Let us give that to you. Unfortunately I travelled to Kurdistan during the end of Ramadan, which meant that during the day many shops were closed. During Ramadan, many Muslims eat during the late late night because they can neither eat nor drink from sun up until sundown. Because they’ve been eating and drinking all night, they sleep until late in the morning and are lethargic during the day. Many shop owners don’t bother to open and those that do, can’t sell food or drinks for immediate consumption. Ice cream stores were open but couldn’t sell it. 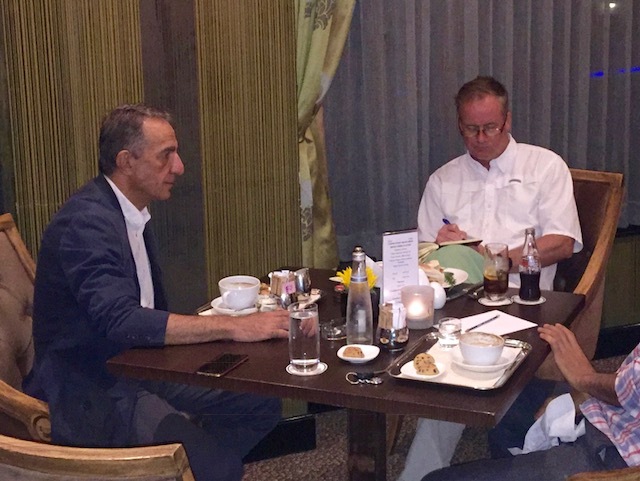 Meeting with Faryad (Fred) Barzani (yes that Barzani), a Peshmerga war general. 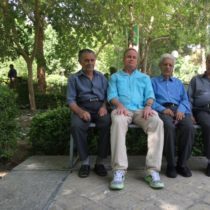 We discussed his time in the U.S., his asylum in Iran and Saddam’s brutal oppression of the Kurds. Saddam did not like the Kurdish preferences toward independence, and as a result he did everything to make sure they remained under his thumb. Saddam not only gassed the Kurdish people, but he gassed the mountain regions to kill their livestock and contaminate their water supplies. Between 1983-88, 200,000 Kurds were rounded up, put in trucks and dumped into mass graves. Fred lost 36 family members during this time and survived only because he was able to hide in a remote mountain area. Fred started with the Peshmerga at 18 years old, and after working several jobs, has risen to one of the Peshmerga generals. 200,000 + 20k volunteers. Our conversation led to this scathing conclusion: US policy to withdraw from Iraq prematurely, without leaving forces to train Peshmerga and Iraqi forces led to the rise of ISIS in Iraq and Syria. 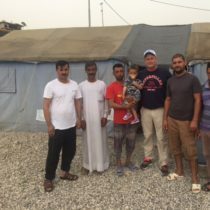 The millions of refugees in the refugee camps (including the 100,000 Yazidis) have us to blame for their plight, as do many of the other 2 million refugees in the other camps. Before going to war we must know the human costs involved, not just our troops … but the region’s citizens. Our premature withdrawal has forever impacted generations of people in this region and their stories are absolutely heartbreaking. 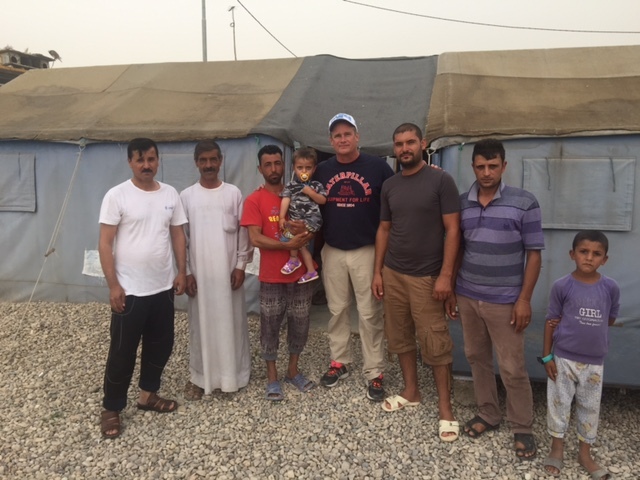 Other highlight was going into a Yazidi IDP camp to speak with some of its residents. 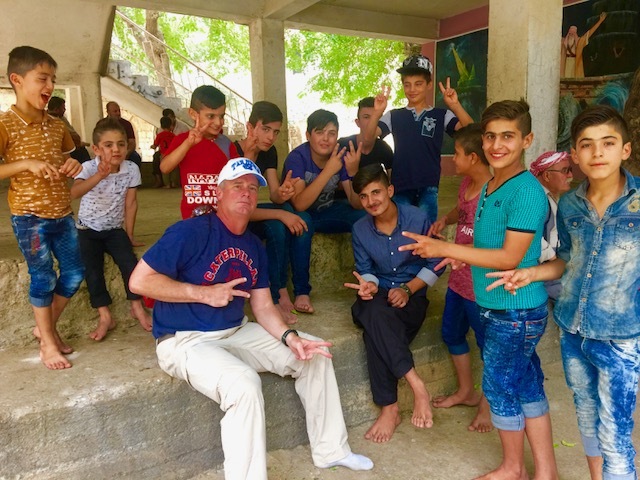 Many of the 100k were refugees from the northwest area of Iraq and were forced from their villages by ruthless ISIL fighters. 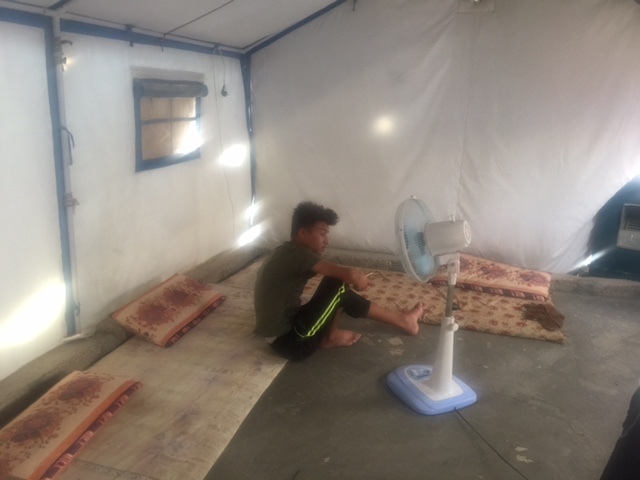 I met several families whose mothers and fathers were both killed by ISIS and were now living at this camp. 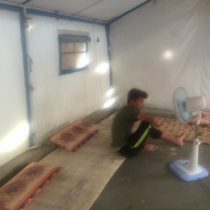 Each tent sleeps 5 people, they sleep on concrete floors and have little food provided. 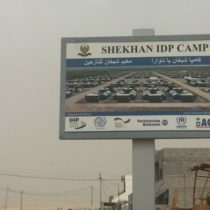 The tent camps are in the middle of the desert with few opportunities to find work. The schools are poor, the heat is oppressive, the winters are brutal and their prospects are bleak. I was tempted to give those I met $100 to share but that would have accomplished little. Even buying each family a chicken (for $2500) would have had little impact.